A concentrated, oil-free complex of ultra-soothing botanicals and healing Honey that can heelp calm and hydrate irritated or sensitized skin. Contains no artificial fragrance or color. 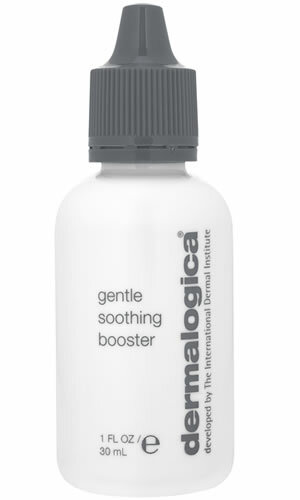 Dermalogica Recommended ApplicationSqueeze a small dose onto fingertips and massage gently over face and throat. Follow with prescribed Dermalogica Moisturizer. Can also mix with prescribed Dermalogica Moisturizer then apply to face and throat. Use to soothe a variety of irritation, whether caused by sensitivity, windburn, or breakouts. Raspberry Fruit Extract helps soothe skin while calming inflammation. Hydrating Honey helps replenish while binding moisture to skin. Rubus Idaeus (Raspberry) Fruit: a soothing extract that helps calm sensitive skin and aggravation. Honey: helps replenish and bind moisture to skin. Calendula Officinalis Flower, Chamomilla Recutita (Matricaria) Flower and Centaurea Cyanus (Cornflower): calming extracts that instantly reduce irritation.